Aside from point one, where we saw the disgusting braying of mis-guided MPs as Westminster voted not to give (any) prisoners the ability to vote – thus racking up penalties against taxpayers in the process – these stated aims have so far been tempered by the unwillingness of the Lib Dems (or anybody else) to support them. A few people have been discussing this possibility already, so it’s worth having a look at this in a bit more detail. Firstly, it’s important to know why the Tories are so hell-bent on attacking the conception of human rights as we know it. Why do the Tories hate human rights so much? The newspaper headlines will paint a story of pragmatic and concerned Conservatives who wish to deport ‘murderers, terrorists and rapists’, or stop them from having the vote. The notion of human rights as some sort of whiny legal set of technicalities akin to the dreaded ‘health and safety’ or ‘political correctness gone mad’ is presented, and almost always accompanied by sensationalist examples of people claiming that perfectly reasonable behaviour is infringing upon their rights. That these arguments don’t actually fall under the gambit of the HRA or the ECHR is irrelevant, so long as the words ‘human rights’ are in there somewhere, it’s enough to send Daily Mail readers everywhere into a frenzy-induced spell of foaming at the mouth. This isn’t about any one example that we have seen over the past few years. It isn’t about giving the prisoners the vote, or not being able to deport ‘that guy with the hook’, or even Christian Bed & Breakfast owners. This is about the Conservative Government’s ideological position – a uniquely British sense of entitlement based on a fundamental Diceyan view that nobody can over-rule a decision of the Westminster Parliament – not even Parliament itself. This view is not without merit, and the positives of which are regularly put forward in arguments posited against the ‘meddling’ of the European Court of Human Rights (ECtHR) in Strasbourg. 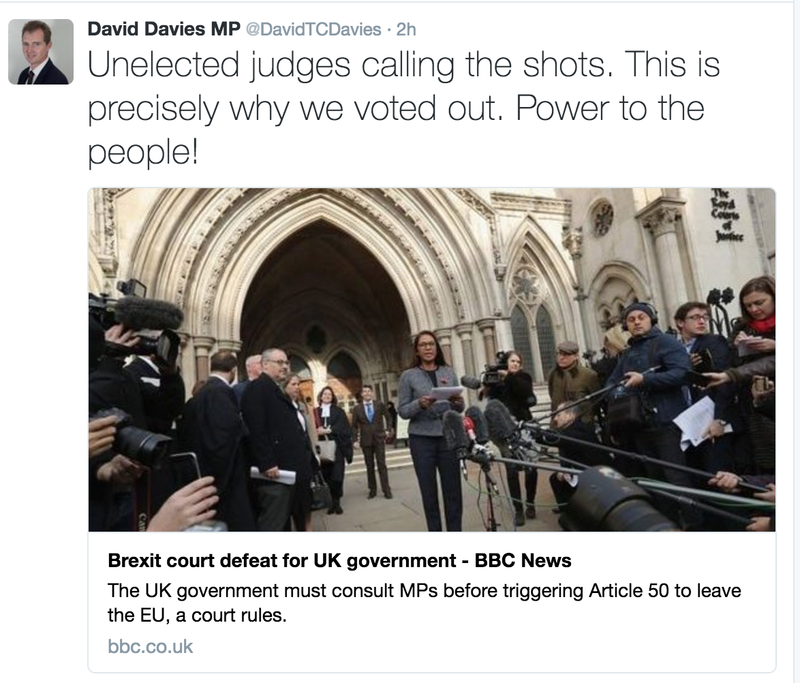 The theory is that Parliament is voted for by the British people, and so that Parliament should be sovereign at any one time, not bound by the decisions of any other body, including previous Parliaments. However, whilst this idea of Parliamentary sovereignty sounds grand and principled, and no doubt served the Empire very well in times gone past (thank you very much), it is almost certainly no longer the case. As proponents of the Union were quick to declare during the debate on Scottish independence: ‘now is not the time to fragment communities and cause division, we are better together.’ What they failed to mention of course is that the British idea of Parliamentary sovereignty is incompatible with the idea of collective governance, or supranational jurisdiction. That is the real threat to the international bonds that tie us to other countries through trade and mutual obligations – not the independent status of a country itself. It’s safe to say that the chance of the first scenario happening is slim to none, so we’ll focus on the second. But if the opinion of Scotland’s elected representatives at Holyrood is to keep the Human Rights Act and its final court in Strasbourg, would Mr Cameron really be prepared to override that opinion? The suggestion is that if the UK were to withdraw from the ECHR completely, that somehow Scotland could retain the current system separately. This ignores how the system actually works in practice. For the avoidance of any doubt, Scotland is not an internationally recognised state, nor a (separate) member of the European Council. It would be impossible for Scotland to remain part of the ECHR if the UK was to pull out. We had our chance for this to be a possibility, and we voted no. Equally, Scotland would have no special say over any other British region in whether or not the elected Westminster Government decided to remove the UK from the ECHR. The Human Rights Act is written in to the fabric of the Scotland Act 1998 (which brought about the creation of the Scottish Parliament). As a creature of statute, the Scottish Parliament cannot pass laws that are incompatible with the Human Rights Act 1998, and are required to make a statement effectively recognising this before a law is passed on for Royal Assent. This is part of the reason why it has been suggested that Scotland should be ‘consulted’ before doing away with the HRA. Whilst this makes for an interesting political confrontation between the Scottish Parliament and Westminster over the type of country we might want to live in, it doesn’t seem clear how exactly Scotland could be consulted, or have any sort of say in the possible repeal of the HRA. Technically, the obligations contained within the HRA could be transposed into an Act that only applied to Scotland. This would require Scottish public authorities to act in a manner which is compatible with the ECHR rights, and allow individuals to bring actions against them where their rights were breached. However, it is at this point that things begin to fall apart. The force of the ECHR comes from the ECtHR in Strasbourg. This greater authority that exists at a level above member states is necessary to protect people from decisions of their governments. Whilst the conversation in Scotland isn’t framed this way at present, it would be difficult to see where this force would come from should Scotland retain some form of HRA separately to the rest of the UK. For example, if a human rights claim was raised against a decision of the Scottish legal system, who would hear the case? As already explained, Scotland would not be a signatory, and so recourse to the ECtHR would not be possible. There would be no appeal to courts elsewhere in the UK either, as (god forbid) they don’t have jurisdiction, and they would be ill-equipped to do so in any event – given that they would be operating in a completely different rights based framework. Whilst a commitment to the operation of human rights in Scotland could be adopted, and enforced by the Scottish Parliament, it would lack the necessary accountability to operate in anything but a shadow of the form that currently exists. This renders the proposition completely unworkable. I believe that it is right for the Scottish Government to defend the HRA, and our continued membership of the ECHR – this is something that we all need to do. However, to suggest that Scotland could somehow operate the European human rights framework separately from the rest of the UK is fanciful. For a more detailed legal look at this topic, see this post on the UK Human Rights blog.